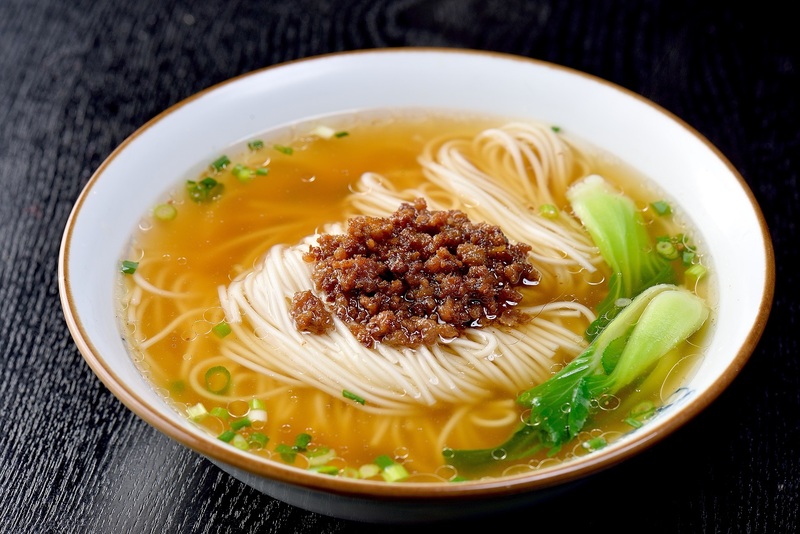 In 2018, Suzhou style noodle created a new world record successfully: with 518 kinds of toppings, it was honored as the original noodle with soup of the world most toppings. 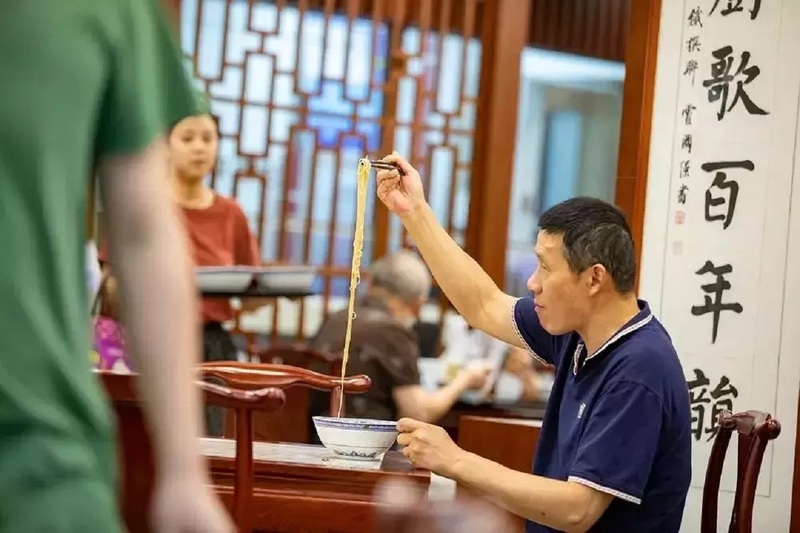 Up to now, Suzhou noodle restaurants have remained the habit to have morning and noon business only left from the Qing Dynasty, and since then people have treated Suzhou style noodle as breakfast. 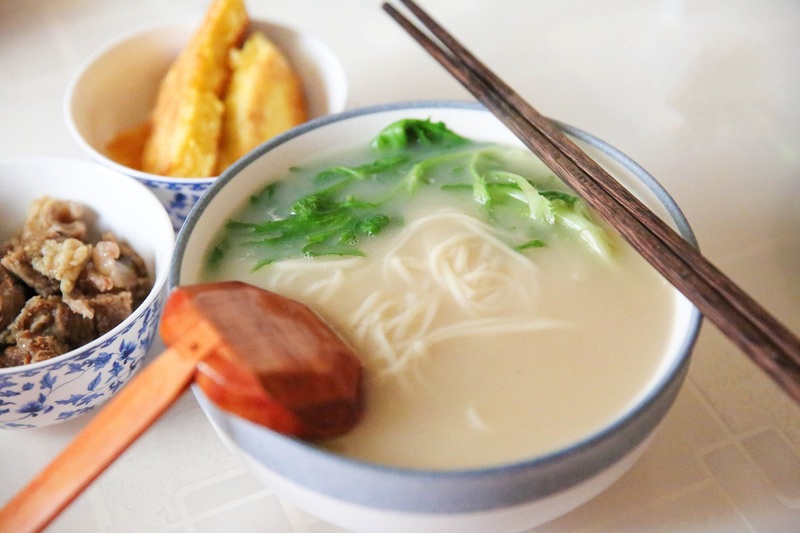 While the story-telling and ballad singing in Suzhou dialect rising at the same time makes eating breakfast of Suzhou people become a ternary enjoyment including taste, listening and vision. 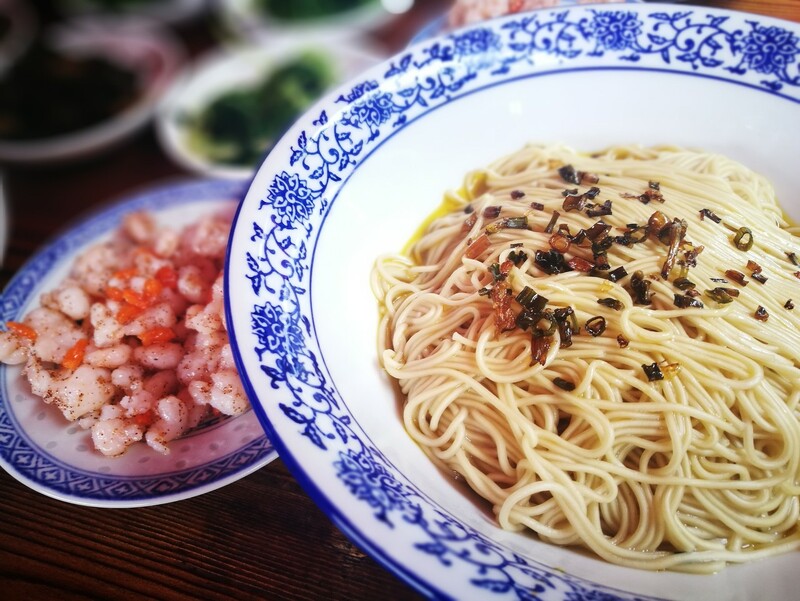 The characteristics of Suzhou noodle with soup: the noodle is named as silver vermicelli which is fine and long, tenacious and refreshing, will not become mushy or lump even by cooking long and can be counted one by one; what’s more, the noodle must be made by pressing on the current day. 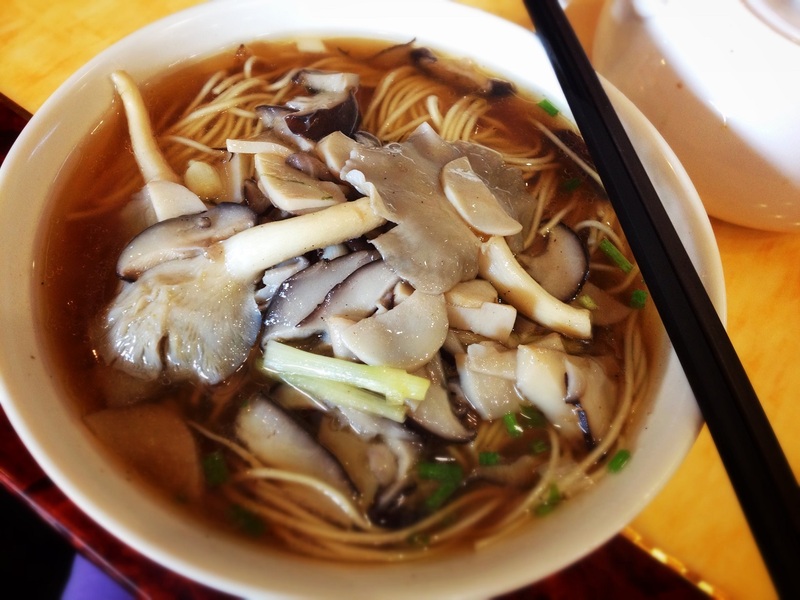 Soup: soup is the soul for Suzhou style noodle. 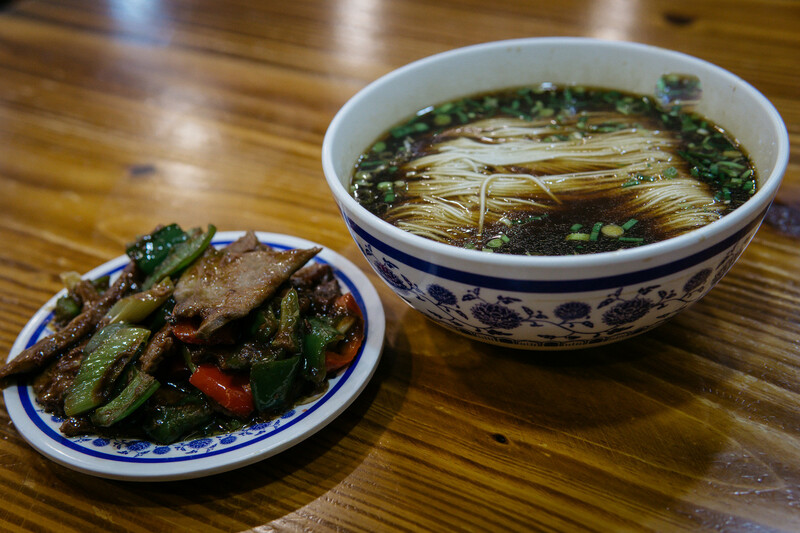 Suzhou local people would like to “have soup for eating noodles and listen to the tune for listening to opera”, and the quality of noddle is up to soup. The recipe and seasoning for making soup is regarded as the family heirloom and will never be revealed to others. 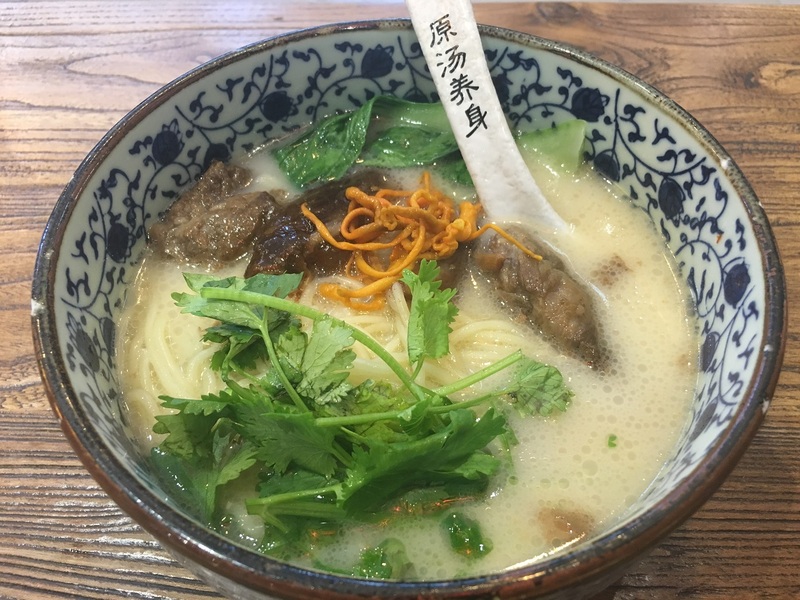 The light soup is basically required to be clear but not oily, fresh but not staining and it’s really wonderful by drinking the bowl of soup only. 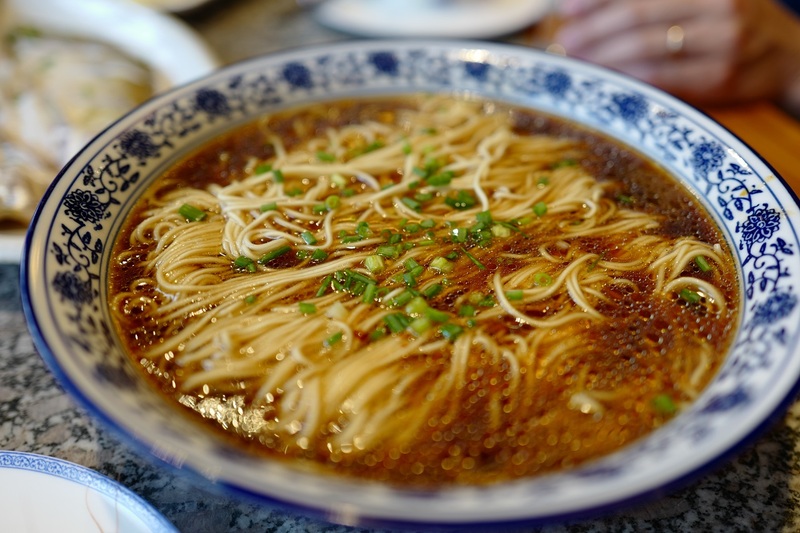 Toppings: a group of toppings are right the menu of Suzhou style dishes. 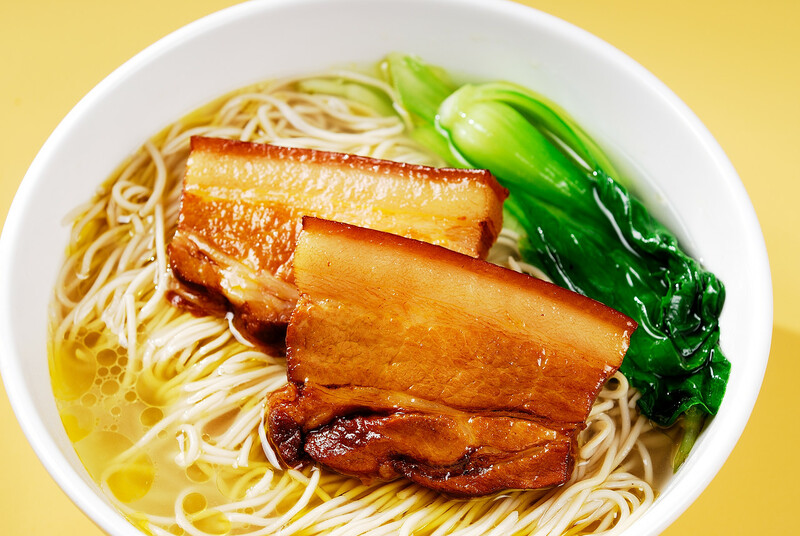 The toppings are divided into two: one is fried on site, including shrimp meat, eel pastry, crab meat and scalloped pork etc., the other is cooked beforehand, including pork, stir-fried fish, stir-fried eel, boiled duck with spices, gluten with mushroom and shredded pork with salted vegetable etc.